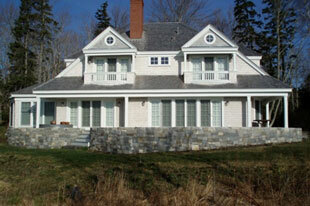 For more than 30 years, our team of professionals at Stephen G. Smith Architects in Camden, Maine has worked to develop designs that compliment the beauty of our New England landscapes. 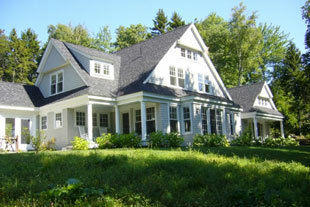 The firm's work encompasses a variety of building types including Residential, Commercial and Health Care Facilities. We are proud to offer a process that finds practical solutions to logistical requirements while fulfilling the needs and dreams of our clients. Our office is recognized for its work in residential design solutions within a shingle-style vernacular that adapts to our ever-changing community of Maine and along the East Coast. Our goal is to provide concepts that honor the spatial relationships between our built environment and the beauty of our natural surroundings. We maintain these same principals in all stages of the process; from the initial visit to site planning, contracting and construction. At Stephen G. Smith Architects we are a diverse team who is committed to working together to bring creativity and vision to your dreams. Stephen has been a principal and owner of the firm for over 25 years. 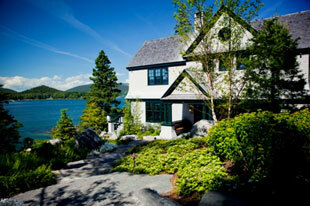 He has developed a reputation for the design of quality custom homes along the coast of Maine. Commercial experience includes a full range of project types including medical facilities, office buildings, libraries, and historic renovations. The extent of his firm's work has included the design of a marina and resort development in Antigua, West Indies, and the renovation of an historic plantation in South Carolina. Hugh has been a principal at Stephen G. Smith Architects for 11 years. 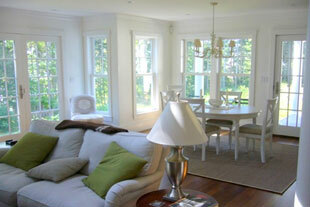 His experience includes over 35 years of commercial, medical, library, and residential design. He also has done many artistic pencil and watercolor renderings of various projects. He opened and successfully ran a ten person branch office in San Francisco for Perkins & Will of Chicago and is a past Vice President and Director of Hugh Stubbins and Associates in Cambridge, Massachusetts. He has received numerous awards including a prize for the Performing Arts and Cultural Center competition in Newport News, Virginia, and the San Francisco AIA Design Award for the offices of Perkins & Will.